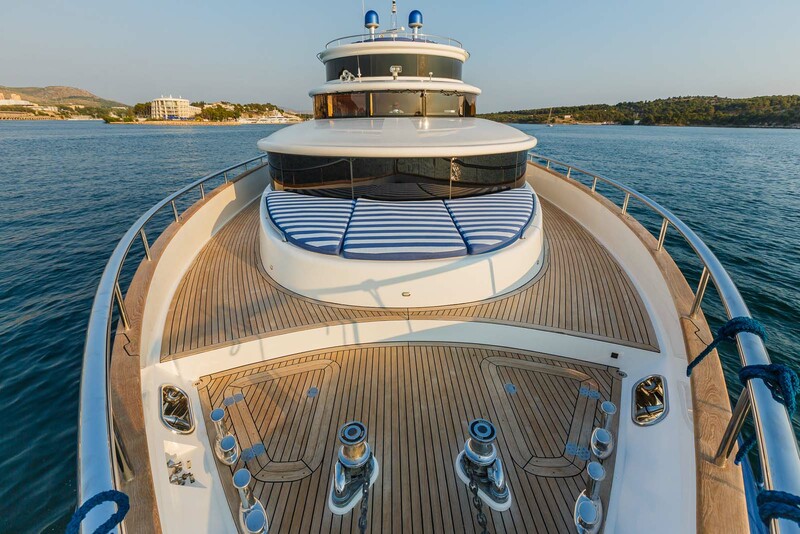 Luxury yacht JOHNSON BABY is a 26.5m/86ft semi-displacement vessel built by Dixon Yacht Design in 2006 with a GRP hull and superstructure. 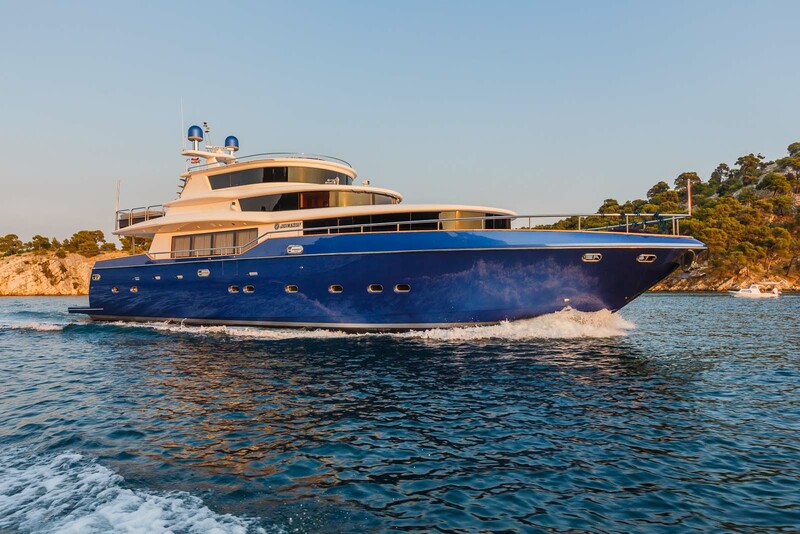 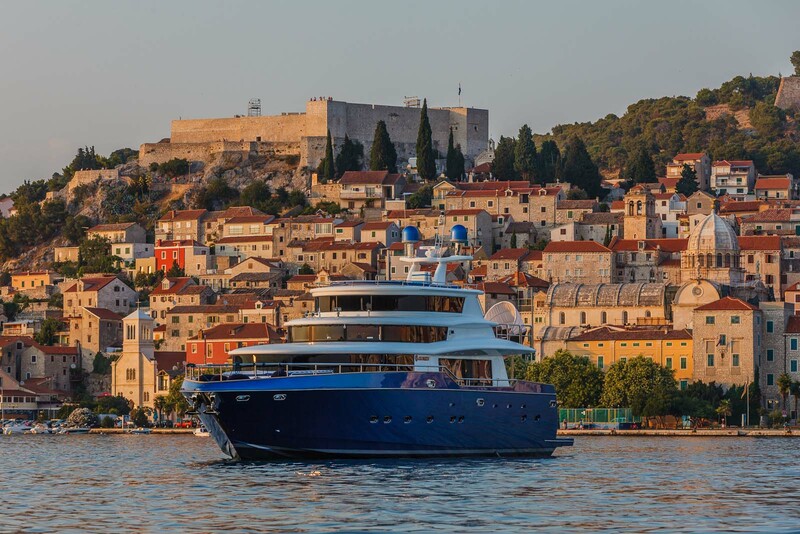 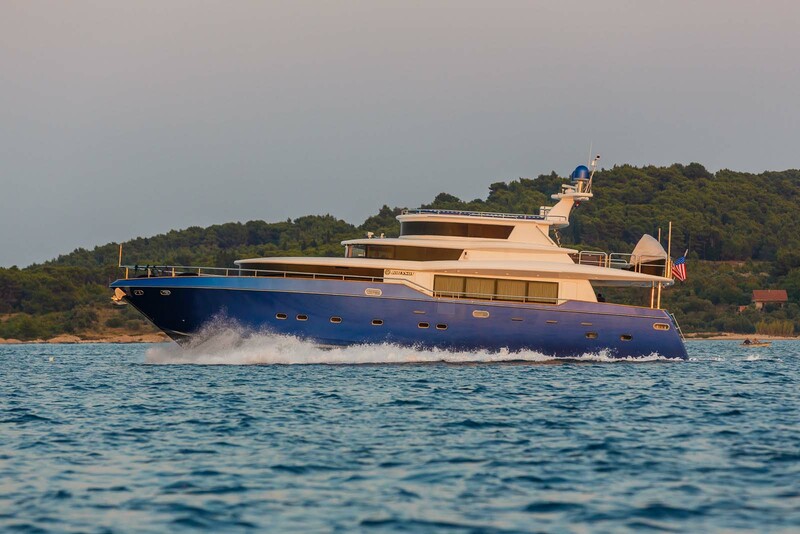 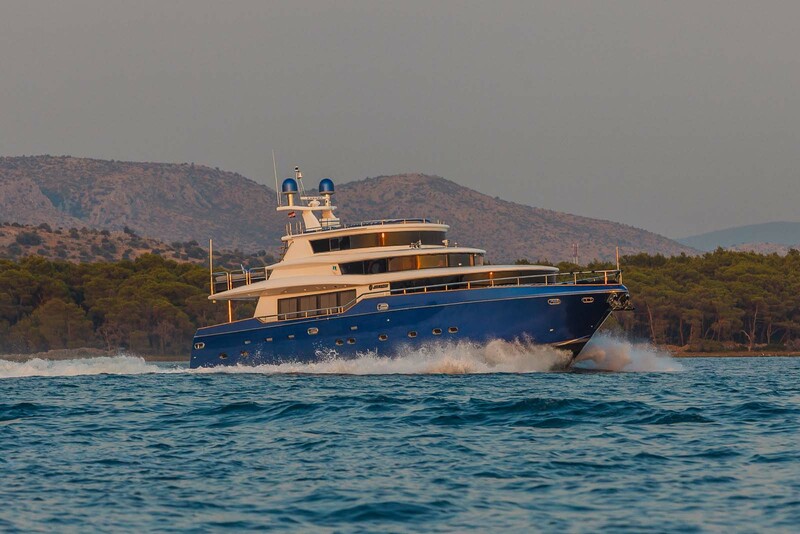 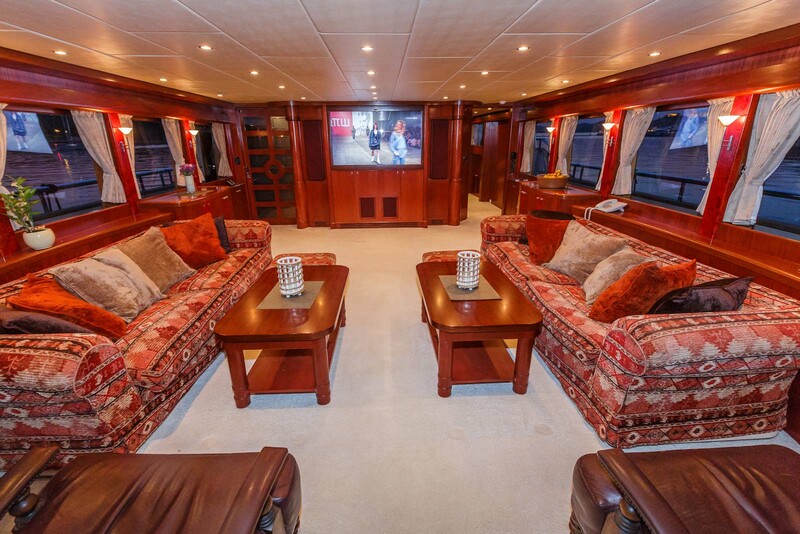 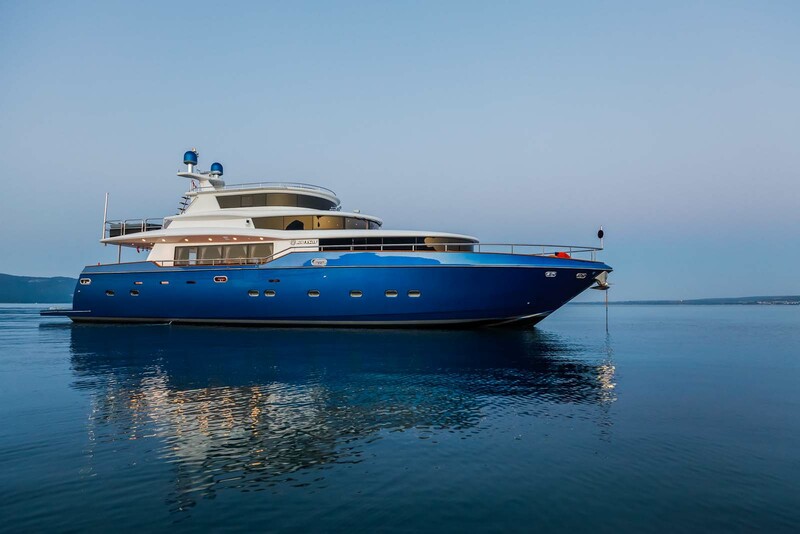 Refitted in 2013, she has the naval architecture and interior styling of Dixon Yacht Design. 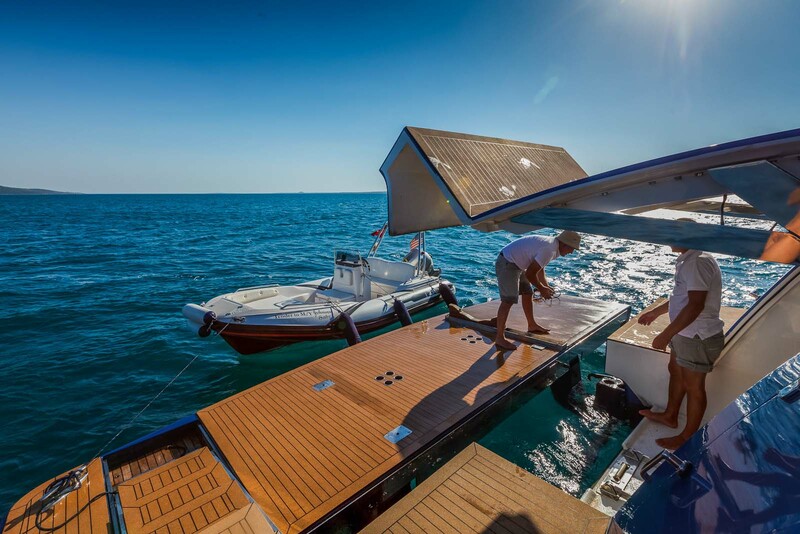 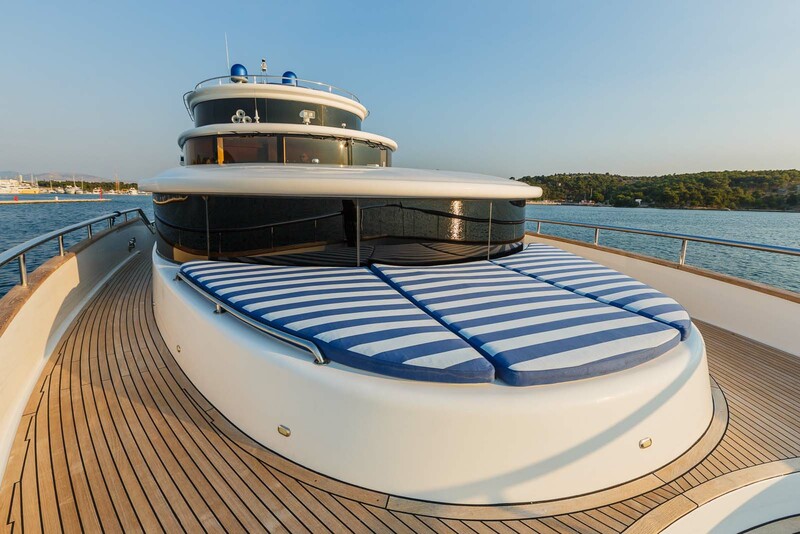 The lower deck has an extendable swim platform for sunbathing and easy access to the tenders. 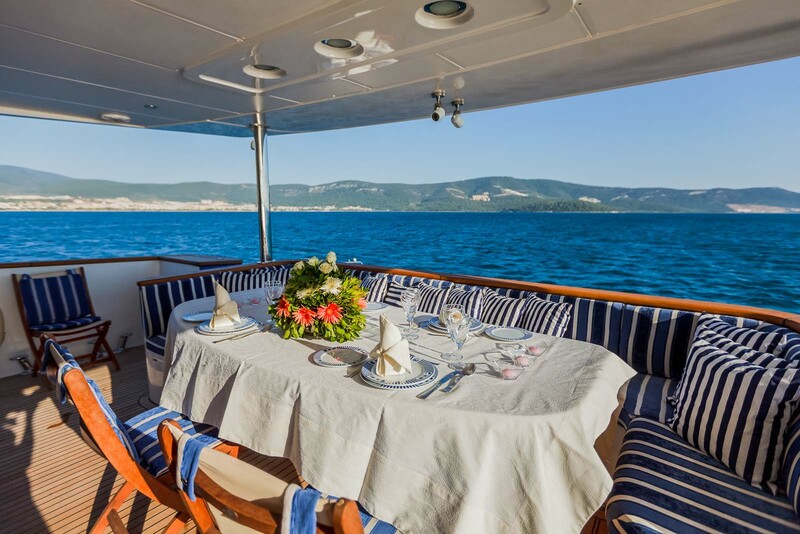 On the main deck aft, a C-shaped sofa is integrated into the stern and a large table creates the ideal setting for an alfresco meal in the shade. 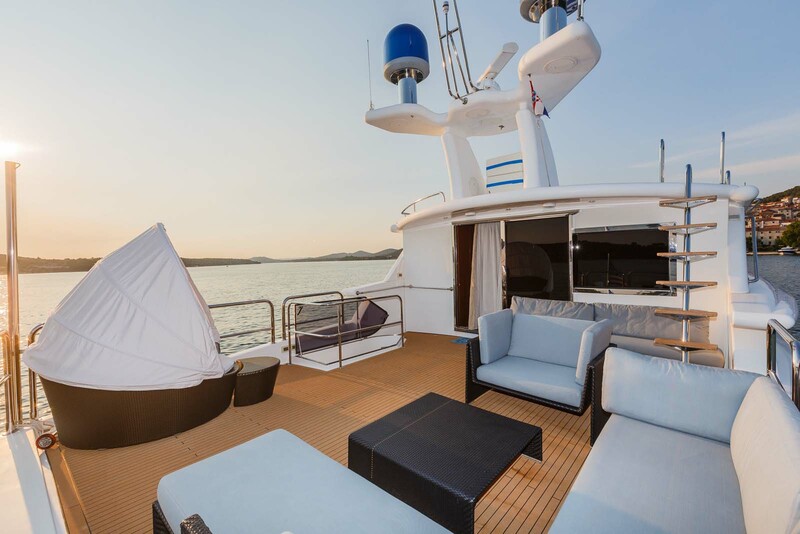 The bow has a broad sun pad on the bow and the sundeck behind the VIP stateroom has a lounge comprised of two armchairs and a sofa around a coffee table, plus an over-sized 'egg' armchair. 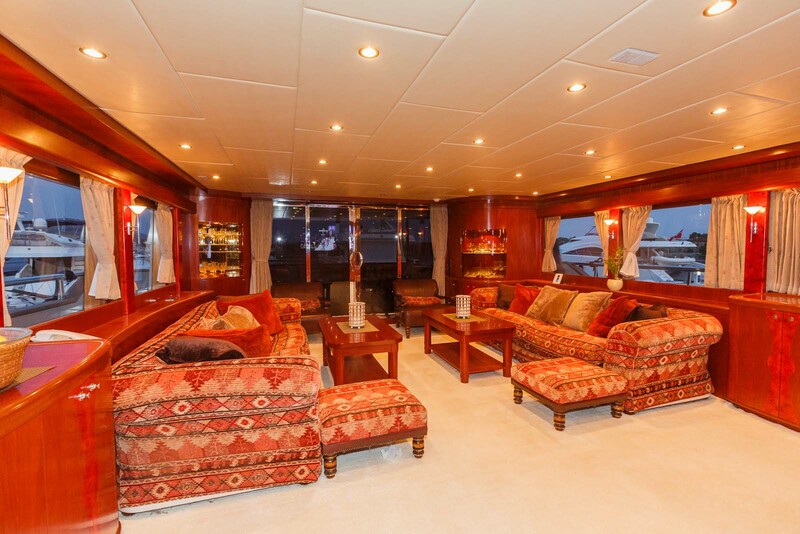 A set of stairs leads up to the top deck for the best views on board. 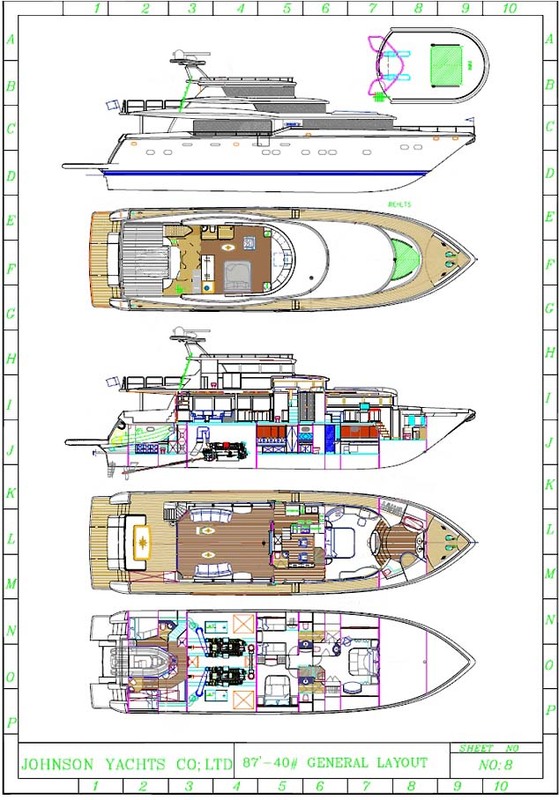 On the lower deck, the tenders are stored in the stern and the mid-section contains the engine. 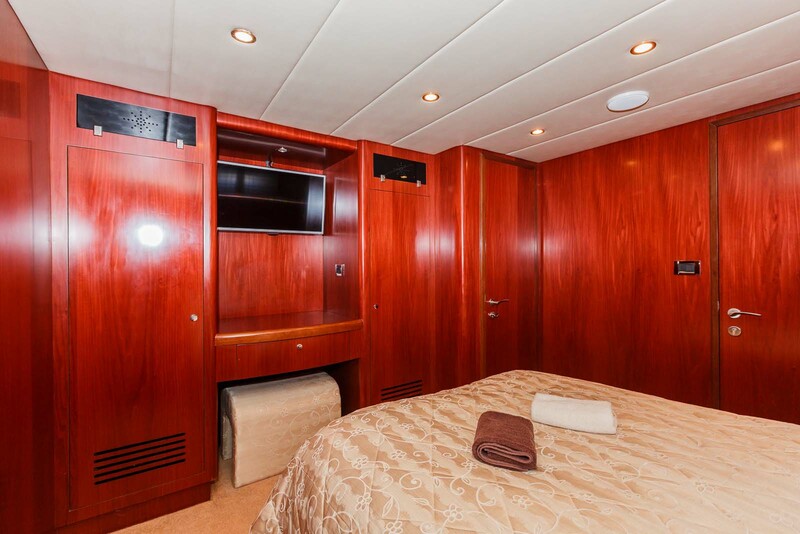 The guest accommodation is positioned forward and contains the VIP stateroom, one of the double cabins and a twin cabin, each with en-suite facilities. 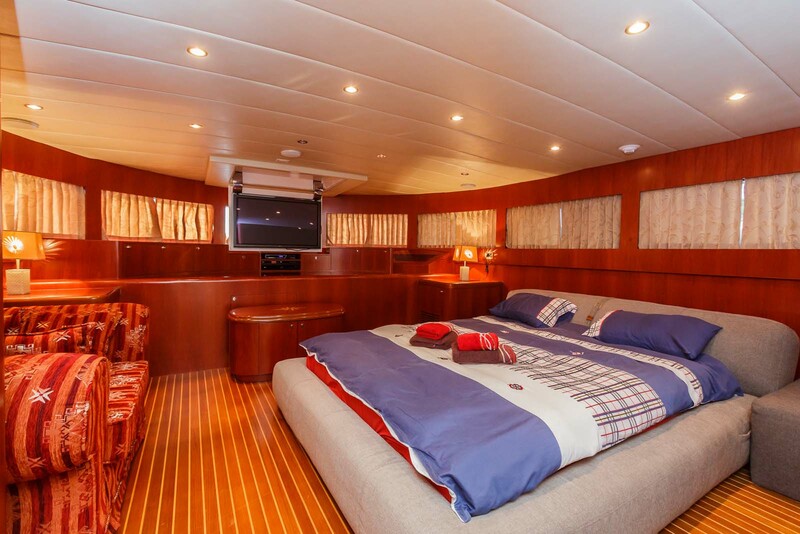 The bow section contains the crew accommodation and sleeps up to five. 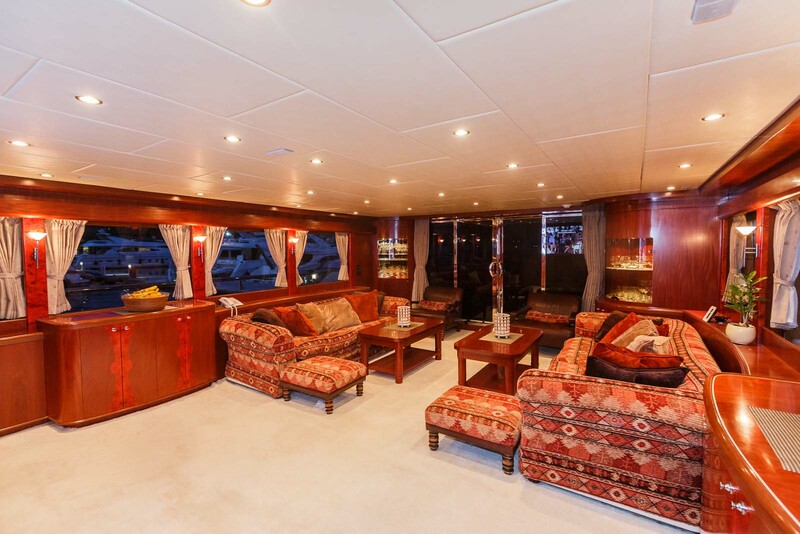 On the main deck, the main salon is a classically styled environment with two oversized sofas placed alongside each other close to the aft glass doors. 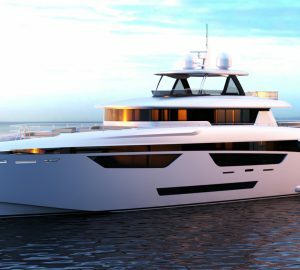 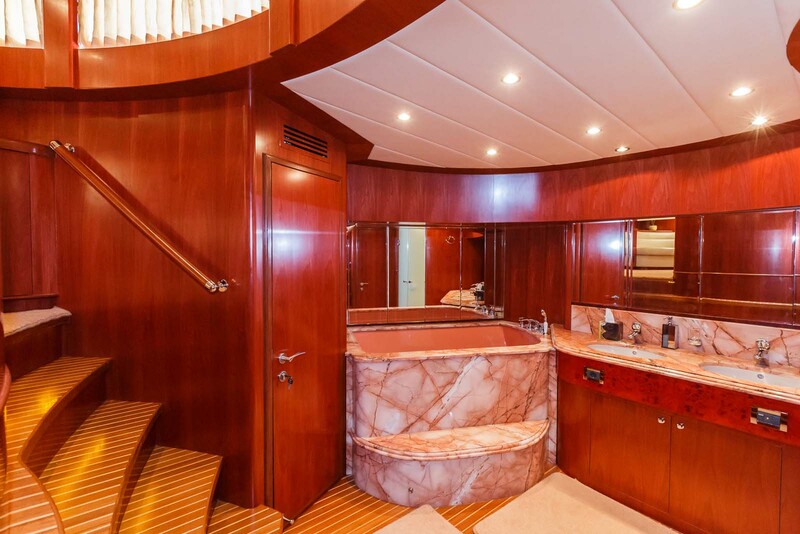 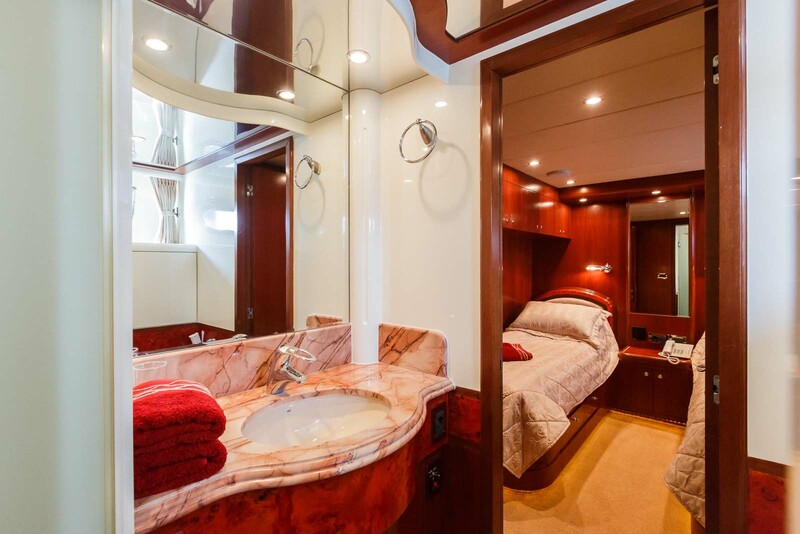 The foredeck contains the full-beam two-tier Master suite, where steps lead down to the en-suite bathroom and the large tub. 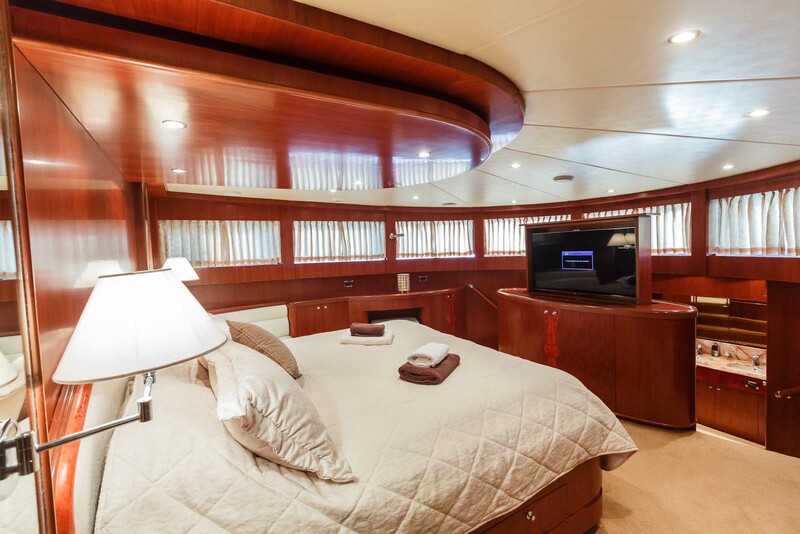 The interior of the upper deck contains the helm station and the VIP stateroom behind. 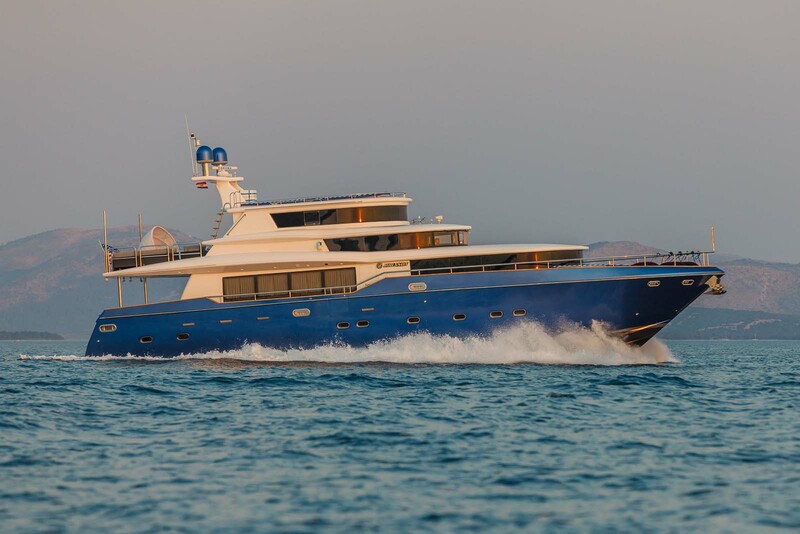 Two MTU 10V 2000 - 3000 BHP engines provide a cruising speed of 12 knots. 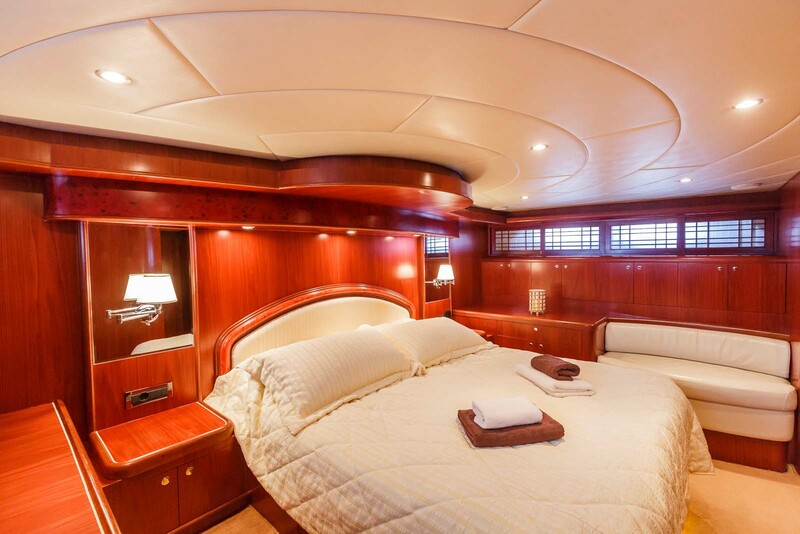 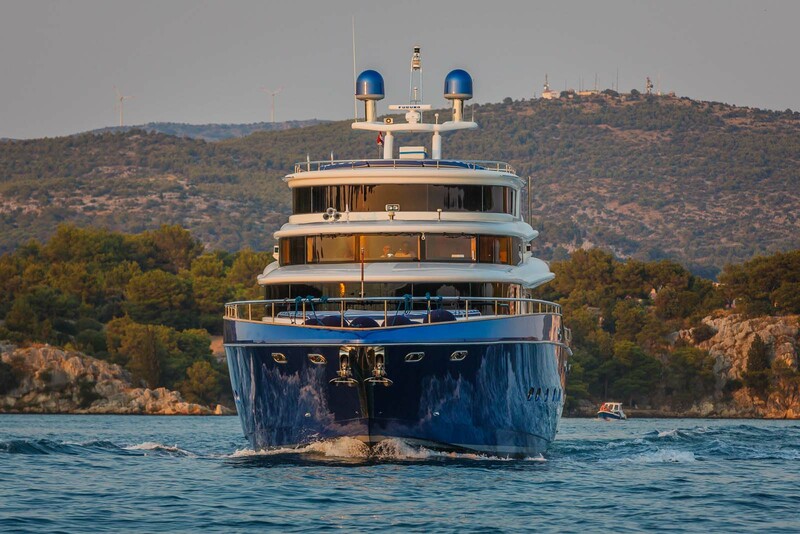 The accommodation sleep up to 10 guests across 5 beautifully appointed en-suite cabins: 1 Master suite, 1 VIP stateroom, 2 double cabins and 1 twin cabin. 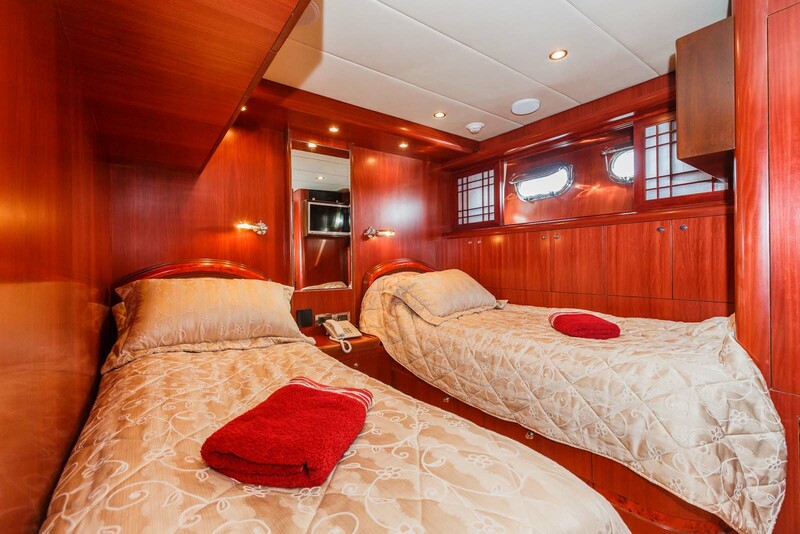 The professional crew of 5 will provide everything guests need for a fantastic holiday in the sunshine.